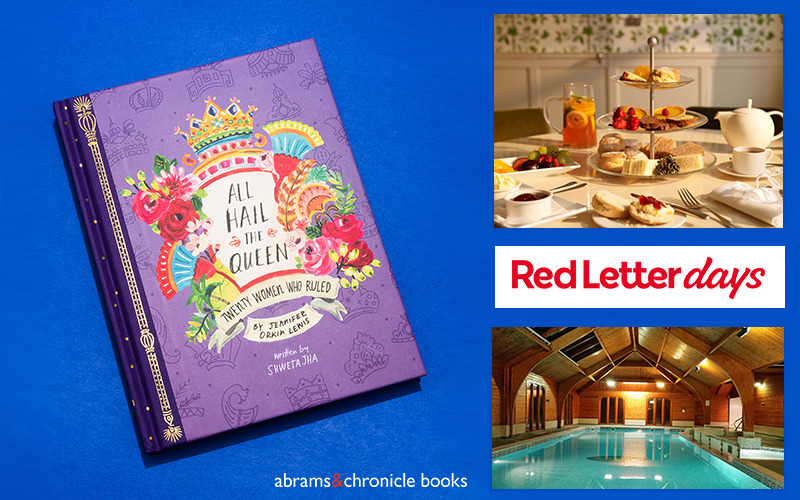 With Mother's Day on the horizon, one lucky person will win the ultimate bundle of All Hail The Queen: Twenty Women Who Ruled (£13.99), illustrated by Jennifer Orkin Lewis and written by Shweta Jha AND a £150 Red Letter Days gift card. 10 runners-up will win a copy of All Hail The Queen. In the gorgeous new book, All Hail The Queen, Jennifer Orkin Lewis and Shweta Jha bring to life twenty true stories of royal intrigue, power and passion. From Cleopatra to Empress Wu Zetian, Marie Antoinette to Queen Liliuokalani of Hawaii, these extraordinary female monarchs from all over the world have captured imaginations throughout the ages. With a deluxe foil-spangled two-piece case, this elegant and diverse celebration of women in charge makes the perfect gift for the queen in your life. Complementing the book, treat your loved one to one of Red Letter Days’ gift experiences with a £150 gift card. Set up in 1989, Red Letter Days pioneered the concept of giving unforgettable experiences as gifts and today it is THE go-to gift experience company. Choose from hundreds of experiences and make unforgettable memories.